Leopards are solitary creatures, living and hunting alone. Leopards benefit from innate stealth, camouflage and lightning-speed reactions. They are also superb climbers and often drag their kill into trees out of reach of other predators. Wild leopards are under threat, largely due to human pressures and habitat loss. In captivity, leopards repeatedly pace, frustrated because their hunting and territorial instincts are denied. Although they often breed well in captivity, it is extremely difficult to return a captive-bred big cat to the wild and this almost never happens. 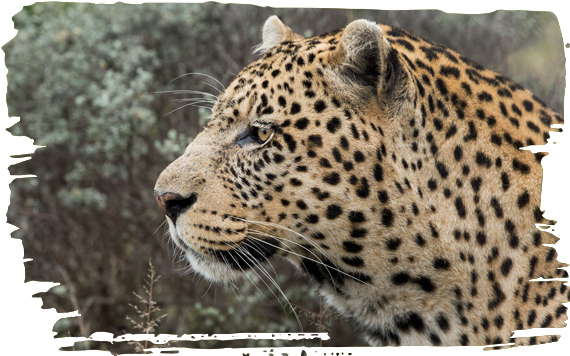 Funds from your adoption will help care for rescued leopards at our Big Cat Sanctuary in Shamwari Private Game Reserve, South Africa. Your adoption will also support our campaign to end captive exploitation of leopards and all wild animals for sport and fun. You can help provide care and protection for leopards by adopting the Leopard Family below. 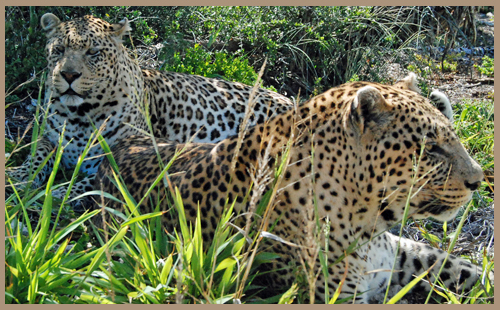 Our leopard family lives at our rescue centre in South Africa. Every member of the family needed to be rescued by Born Free. But with expert care they have recovered and live in spacious bush enclosures. Help provide the care they need.